American physicist Daniel C. Tsui discovered (with Horst L. Störmer) of a previously unknown form of quantum fluid with fractionally charged excitations, called the fractional quantum Hall effect (FQHE). 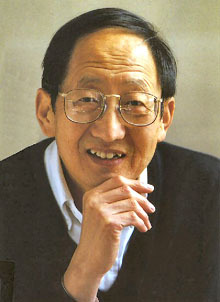 Tsui was awarded the Nobel Prize for Physics in 1998, sharing the honor with Störmer and Robert B. Laughlin, who detailed the physics that made the effect make sense. More recently Tsui's work has centered on the electrical properties of thin films and microstructures of semiconductors and solid state physics.